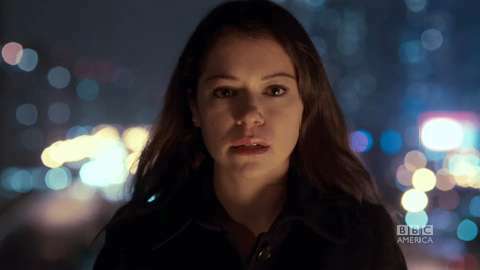 If you are lucky enough to have no idea what Orphan Black is about, don’t hit the jump. But do tune into the inevitable marathon that will take place before season 2 kicks off April 19. Orphan Black is one of those shows that, the less you know about it going in, the better. When I first watched, I hadn’t heard anything more than one little tweet about it, and even that contained what I now consider a spoiler. Honestly, I didn’t watch a lot of TV in 2013. For more definitive lists of the “best of 2013” may I suggest The Wire or The AV Club. I’m just gonna tell you my favorite pilots of 2013, because it’s like, late December and making lists is the thing to do. 1. Almost Human — Not the most original thing ever on TV, this show managed to find its own voice in its pilot. It’s witty and engaging, and is responsible for my first — and currently, only — A.I. crush. 2. Orange is the New Black — Much has been written about why this show is great. It became much more than it was in the pilot, i.e. the story of one pretty white woman turning herself in for a prison sentence. Still, the pilot is fantastic in its own right. Don’t let the cheesy title put you off. 3. Orphan Black — If you know nothing about this show, I recommend watching the pilot that way. The less you know what to expect, the more you’ll enjoy it. The premise of the show isn’t truly introduced until late in the second episode, and that’s awesome. 4. Marvel’s Agents of S.H.E.I.L.D. — Despite introducing us to one of the most annoying characters ever one TV (Skye, who according to imdb, has no last name), this pilot was a fun ride. I’m sure that the build-up to the premiere colored the experience. 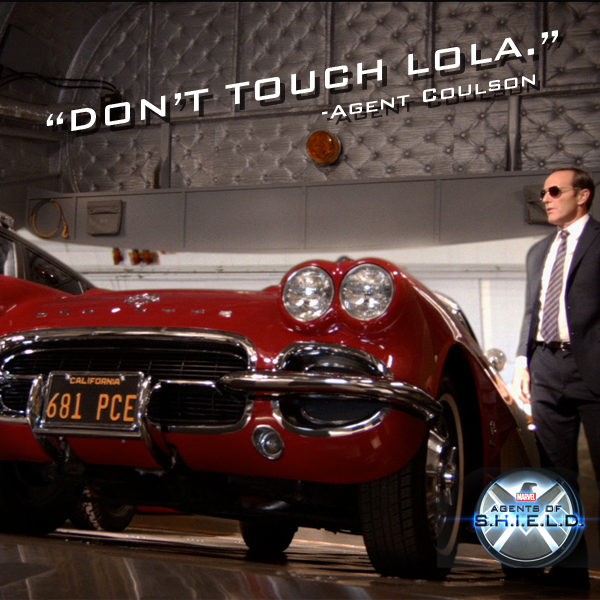 Just seeing Coulson deliver the “Don’t touch Lola” line was enough to make fans cheer. It wasn’t the episode plot that made this pilot exciting, though, but the introduction of the still-unwinding plot, “How the hell is Coulson still alive?” BTW, Lola’s licence plate reads, “681 PCE.” That has to mean something! !